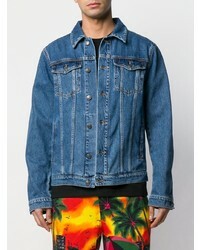 For a comfortable-as-your-couch outfit, wear a MSGM denim jacket from farfetch.com and black ripped skinny jeans. Turn your sartorial beast mode on and throw in a pair of black suede chelsea boots. 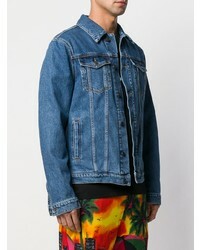 Go for a MSGM denim jacket and black ripped skinny jeans, if you feel like relaxed dressing without looking like a hobo. Up the cool of your ensemble by completing it with white leather low top sneakers. 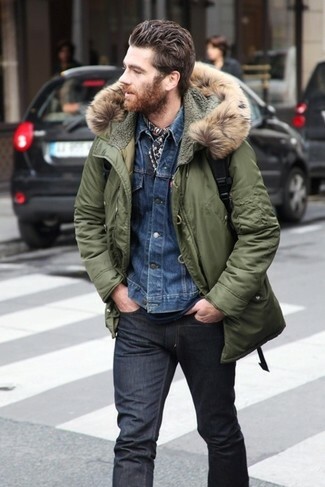 If you're after a casual yet seriously stylish outfit, go for a MSGM denim jacket and black skinny jeans. Both garments are super comfy and will look fabulous when paired together. 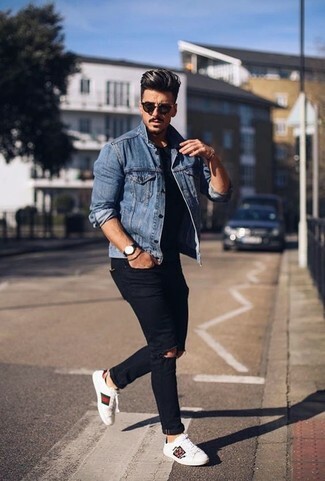 When it comes to footwear, this outfit is finished off wonderfully with white low top sneakers. 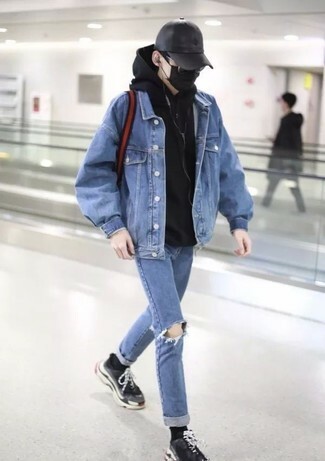 If you're a fan of comfort dressing when it comes to fashion, you'll love this on-trend pairing of a MSGM denim jacket and black ripped skinny jeans. Amp up the cool of your outfit by complementing it with black leather casual boots. 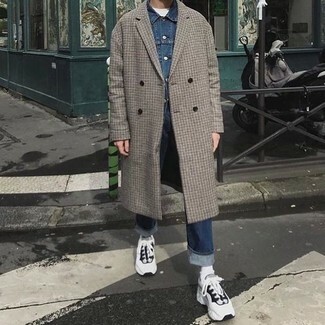 If you're scouting for a casual yet seriously stylish look, consider wearing a MSGM denim jacket from farfetch.com and charcoal jeans. These garments are very comfortable and will look fabulous paired together. 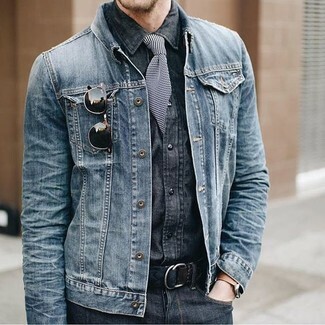 If you're on a mission for a casual yet sharp outfit, consider teaming a blue denim jacket with navy jeans. These garments are totally comfortable and will look incredible when worn together. 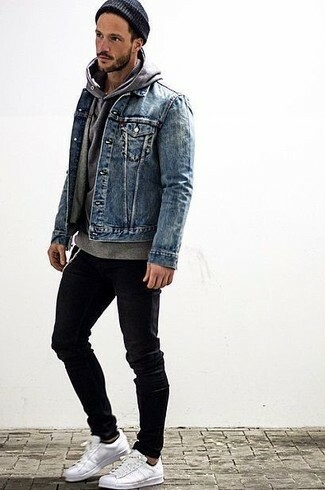 Go for a pair of white and black athletic shoes to make the getup current. 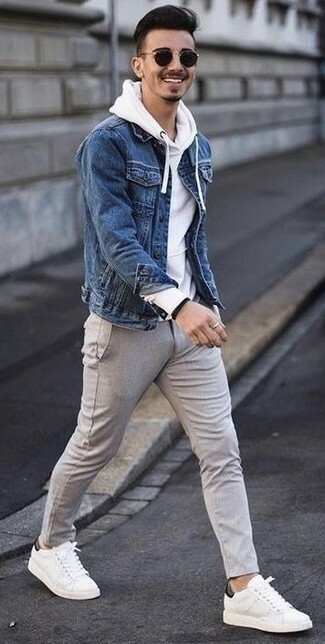 If you're after a casual yet seriously stylish getup, marry a MSGM denim jacket with grey wool chinos. These garments are super comfortable and will look wonderful together. For something more on the daring side to complete this look, rock a pair of white leather low top sneakers. 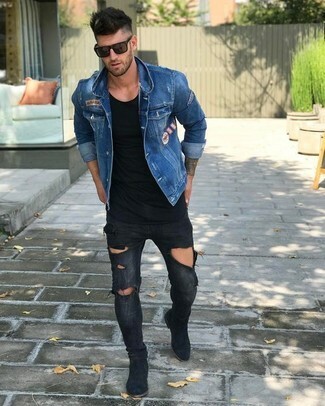 If you prefer relaxed dressing when it comes to fashion, you'll love this easy pairing of a MSGM denim jacket from farfetch.com and blue ripped jeans. 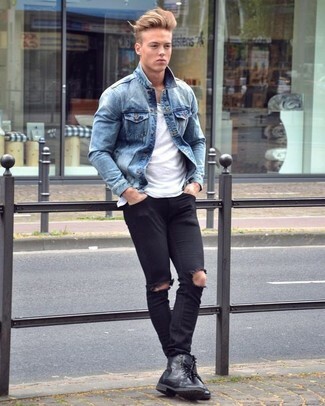 For something more on the daring side to round off this look, throw in a pair of black athletic shoes. 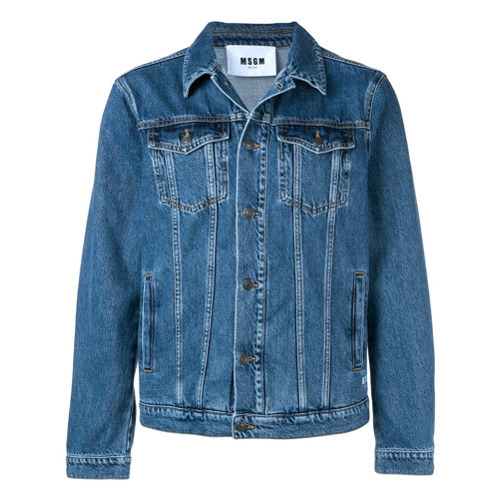 If you're looking for a casual yet sharp getup, consider teaming a MSGM denim jacket with charcoal jeans. These two items are totally comfy and look incredible when worn together.